Since the dawn of time, people have been butting heads and celebs are no different. Are you really surprised that people with huge egos, lots of money and work in a competitive field cant get along? Not shocking at all. Either way it can be quite entertaining, though somewhat embarrassing when our favorite celebrities start airing out their dirty laundry for the world to see. Sometimes the fans tend to take sides, but for the most part the rest of us just sit back and enjoy the show; after all they are human just like the rest of us, so of course they wont all get along. Here are 15 celebrity feuds that you may have never heard about. 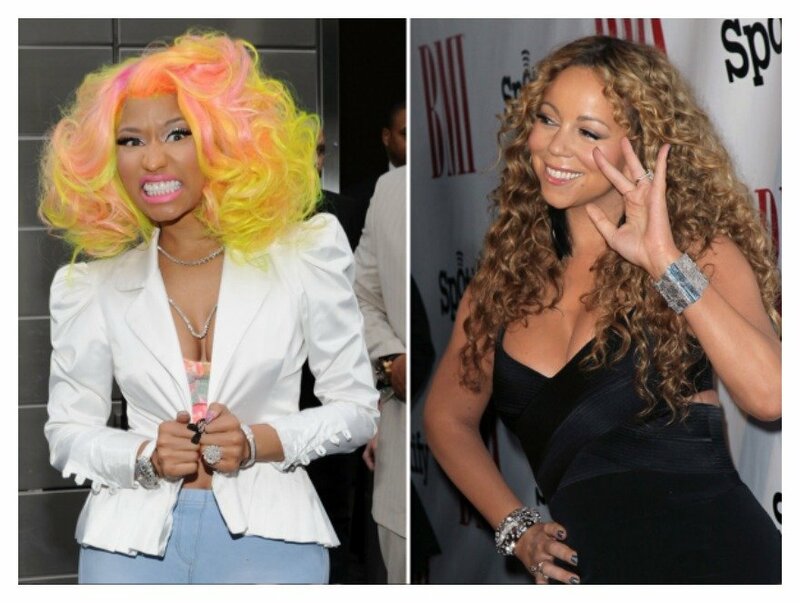 The head honchos at American Idol thought it would be entertaining to have Mariah Carey and Nicki Minaj at the judges table during season 12 of the show. What ensued was nothing short of embarrassing, the women bickered during every single episode. Eventually both left the show. In an interview, Mariah Carey said it was the worst experience of her life, stating: Lets just say I dont think they had any intentions for us to have a good experience doing that show…pitting two females against each other wasnt cool. In 2013, the late night host posted a funny skit spoofing the rappers epic BBC interview. As expected Kanye did not find it funny and he expressed his fury with several twitter rants entirely in caps. First he said; JIMMY KIMMEL IS OUT OF LINE TO TRY AND SPOOF IN ANY WAY THE FIRST PIECE OF HONEST MEDIA IN YEARS. Then he said, JIMMY KIMMEL PUT YOURSELF IN MY SHOES … OH NO THAT MEANS YOU WOULD HAVE GOTTEN TOO MUCH GOOD PUY IN YOUR LIFE … YOU CANT PUT YOURSELF IN MY SHOES. YOUR FACE LOOKS CRAZY … IS THAT FUNNY? … OR IF I HAD A KID SAY IT WOULD IT BE FUNNY??? Oh, and he still wasnt done, YOU MANIPULATIVE MEDIA MUTHERFER. Kimmel took the angry tweets in good stride, the following night he spoke about it on his late night show saying, We just had the kids say the stuff Kanye said. Apparently this upset him. He called me. He said a lot of things. He told me I had two choices: Number one, apologize publicly … and that was really the only choice. The other choice he gave was, Your life is going to be much better if you apologize. 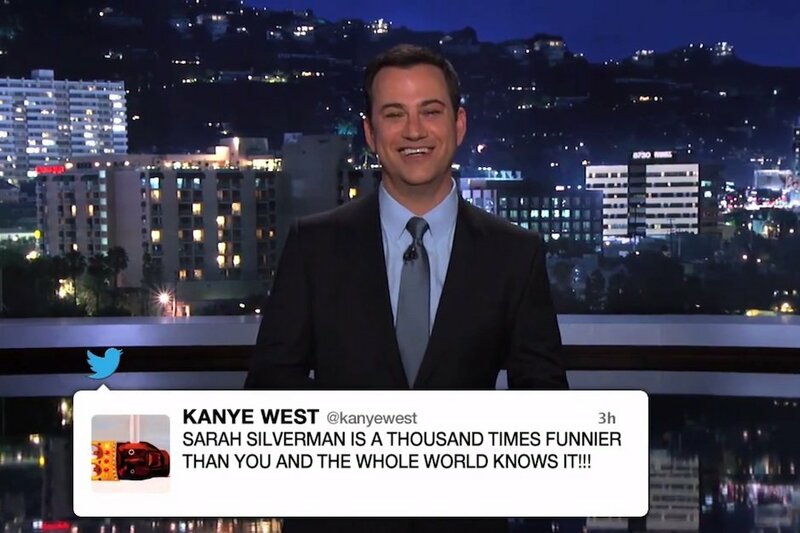 But Kanye still wasnt done, his final tweet was about Kimmels ex girlfriend who is also a comedian, he said SARAH SILVERMAN IS A THOUSAND TIMES FUNNIER THAN YOU AND THE WHOLE WORLD KNOWS IT! Later on, the rapper appeared on the Jimmy Kimmel show and the two ended their feud.